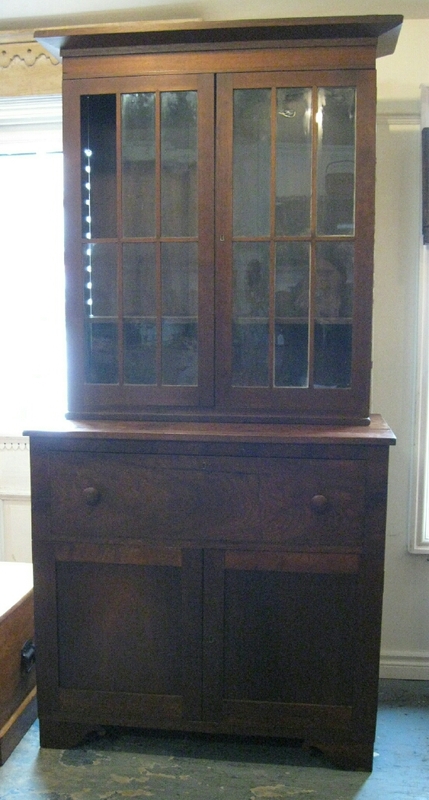 Two piece walnut secretary with a glazed bookcase in the original finish. 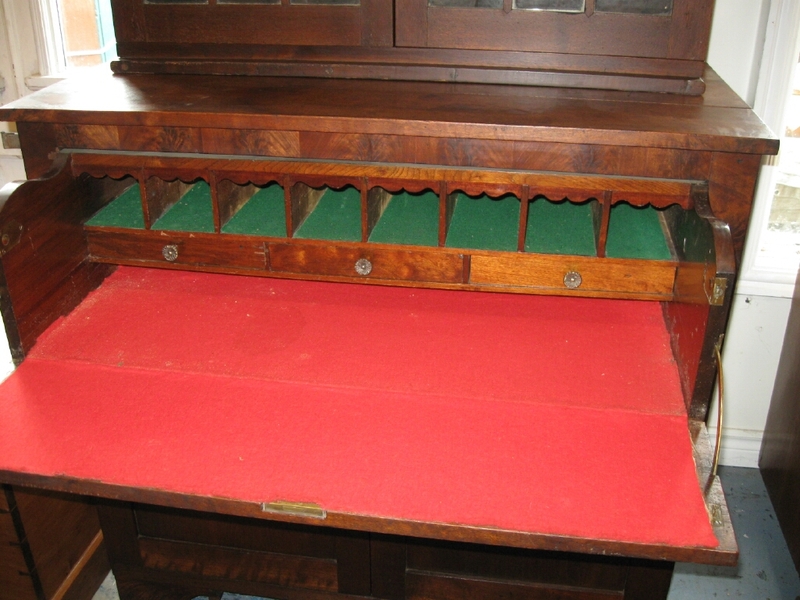 This secretary has a butler style pull out desk with 4 small drawers and 8 compartments. It measures 42 inches wide by 21 deep by 88 tall.